Bruises occur when blood vessels break, due to some kind of force, and leak blood into areas under the skin. The main symptoms of a bruise are pain, swelling, and skin discoloration. 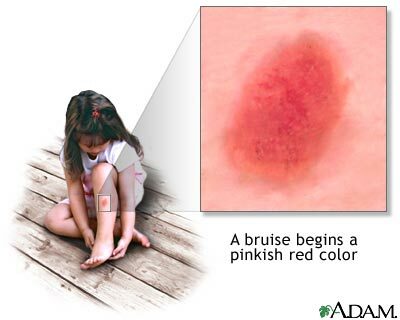 A bruise begins as a pinkish, red color that can be very tender to touch.